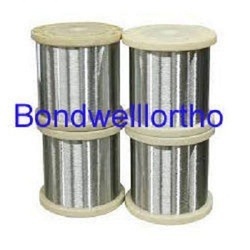 Prominent & Leading Manufacturer from Ahmedabad, we offer orthopedic implants cancellous screws 6.5mm 32mm, orthopaedic schanz screw, orthopedic cannulated bone screw, orthopedic implants cancellous screw, orthopedic implants cancellous screw - fully thread 6.5mm and orthopedic implants cancellous screw full thread 4.0mm. With the support of our unmatched business ethics, work ability and a crew of smart professionals, we have come up with Orthopedic Implants Cancellous Screws 6.5mm 32mm Threaded. These cancellous screws are designed with the help of quality tested material & modern techniques in accordance with set standard. 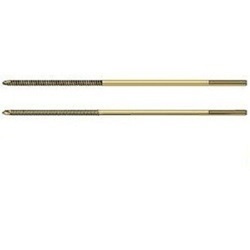 Our offered cancellous screws are checked on various parameters so as to deliver defect free range. We offer these cancellous screws to our clients in bulk quantity at competitive rates. Available in Stainless Steel (S.S) 316-L and TitaniumGR-5. We Bond Well Ortho Products are India's reputed manufacturer, exporter and supplier of orthopedic implants and instruments. 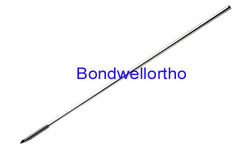 We have been ranked as the most dependable and leading firm all over the nation and actively emerged in providing Orthopedic Implants Cancellous Screw Fully Thread 6.5mm. 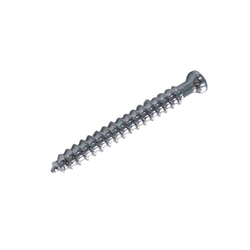 These cancellous screws are manufactured using first-rated quality material & latest techniques in adherence with the norms of industry. The offered cancellous screws are inspected on diverse parameters in order to deliver flawless range from our end. Clientele can avail these cancellous screws from us in diverse specifications as per their needs. We have set an exemplary standard in the industry by offering defect free range of Orthopedic Implants Cancellous Screw Full Thread 4.0mm. 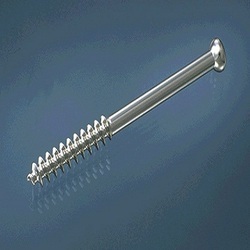 The offered cancellous screw finds their wide application in orthopedic surgeries for fixation of cancellous bone. Offered cancellous screw is checked in terms of quality before delivering at customer’s end. 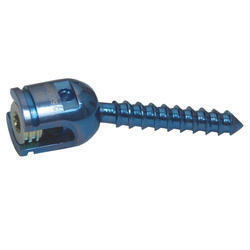 This cancellous screw is made available in varied specifications according to customer’s requirements. 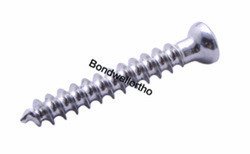 We Bond Well Ortho Products are India's reputed manufacturer, exporter and supplier of Orthopedic Implants Small Cannulated Screw. 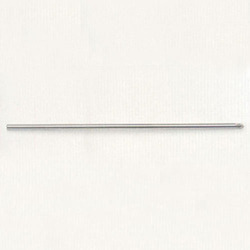 We are the noted organization actively engaged in offering an elevated range of Orthopedic Implants Washers 6.5mm. These washers are designed with the help of quality tested material & modern techniques in accordance with set standard. Our offered washers are applauded among clients for their superb finish, higher consistency and durability. 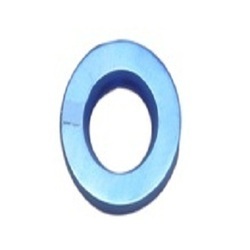 We offer these washers to our clients in bulk quantity at competitive rates. 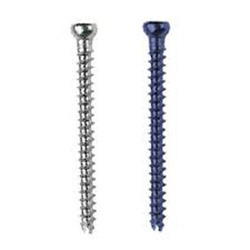 Orthopedic Poly Axial Screw are India's reputed manufacturer, exporter and supplier of orthopedic implants and instruments. We Bond Well Ortho Products are India's reputed manufacturer, exporter, and supplier of orthopedic implants and instruments. We are manufacturing Best Quality Orthopedic Implants and Orthopedic Instruments as per ISO 13485:2003 Quality Management System and we have CE and FDA certification for our products which gives you the assurance of best quality satisfaction. 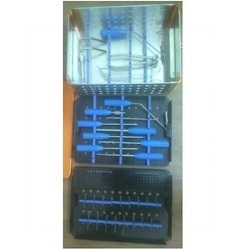 Orthopedic Implants Kirschner Wire are India's reputed manufacturer, exporter and supplier of orthopedic implants and instruments. 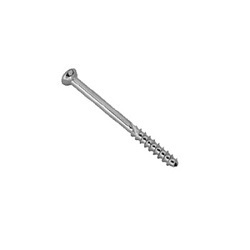 Orthopaedic Cancellous Screw Fully Thread 6.5mm are India's reputed manufacturer, exporter and supplier of orthopedic implants and instruments. 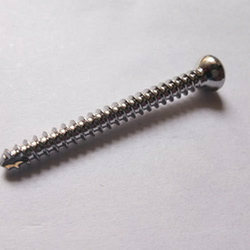 Orthopedic Cancellous Screw 4.0mm are India's reputed manufacturer, exporter and supplier of orthopedic implants and instruments.